This is part of our “Learn WordPress” series. In this post, you will learn how to properly set up WordPress after a fresh installation. Now you just need to set up your WordPress blog correctly. You can download the WordPress Guide eBook for an A-Z manual of setting up WordPress. When you install WordPress, you get a stock installation with a few things like a dummy post, a dummy page, and a dummy comment. Log in to your WordPress dashboard and go to Posts > All Posts and delete the default “Hello world” post. Similarly, go to Pages > All Pages and delete the default “Sample Page”. And finally, click on “Comments” and delete the default comment. This permalink is short, but not friendly for search engines. Go to Settings > Permalink and select “Post name”. Now, when your URLs appear in search engines, some of the keywords will be visible. This will help you rank higher and get more traffic. The next two settings are found in Settings > General. Make sure to set your timezone to your local time so that when you schedule posts, they will go live according to your time. When you installed WordPress, you added a “Site Title” & “Tagline”. You can change those anytime from this settings page. These two things are very important because this is what shows up in Google Search. You can also set your admin email address (where you’ll receive all admin correspondence) from this settings page. You need to decide if you are going to have a multi-author blog , or if you are going to be the sole author. If you are going to allow guest posting, then be prepared to get a lot of spam registrations. However, you can fix that with the help of a plugin. To allow this, tick off the “Anyone can register” box, and set the “New User Default Role” as “Contributor”. If you don’t want people to register, don’t tick the “Anyone can register” box. Now, go to Settings > Discussion. This can get confusing if you don’t know what to do here. But just follow the above screenshot and you’ll be good. By default, WordPress only pings one service. But you can notify many more services by extending the ping list. Go to Settings > Writing and add in more services to the ping list. You can get a big ping list over here: WordPress ping list. This setting will greatly improve the way WordPress handles images. 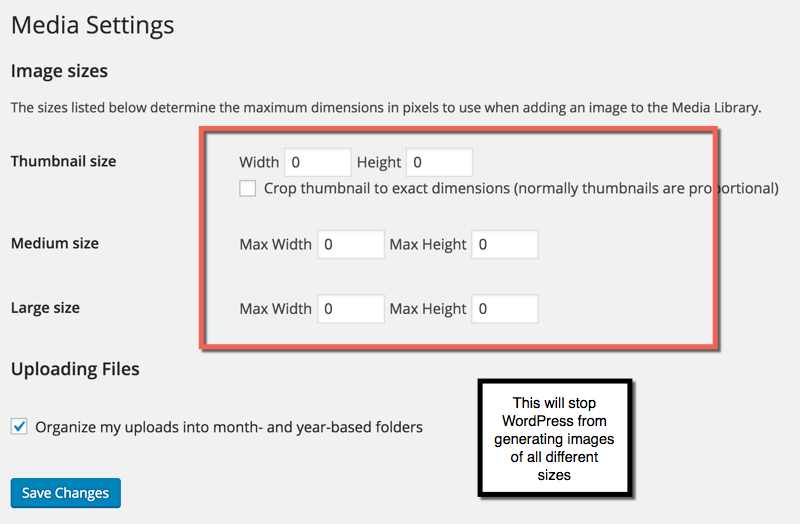 By default, WordPress create multiple sizes for every uploaded image. This is not a good practice. This will load up your blog with unnecessary files and your blog will quickly become bloated. I would also highly recommend that you add a plugin which compresses images as they’re uploaded. You can read all about WordPress image compression plugins here. For this setting, you will need to edit your WordPress .htaccess file. Don’t panic; it’s actually pretty easy. You can follow this guide to learn about editing your WordPress .htaccess file. Set up WordPress permalink structure. If you just installed WordPress, make sure that these 8 essential settings are properly configured. Anytime you install WordPress, you should make sure to do these 8 things before doing anything else. I’d recommend you bookmark this post so you can refer back every time you make a WordPress installation. Once you are done setting up WordPress, it’s time to install plugins. 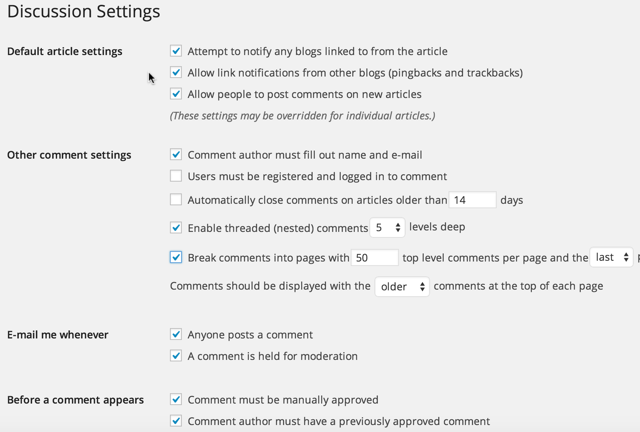 How many of these essential WordPress settings did you know about? What other settings would you recommend to all WordPress users? Let me know what you think in the comments below.